In 1932, the Danish toymaker, Ole Kirk Christiansen started making wooden bricks in his workshop in Billund, a small town in Jutland, Denmark. In 1947, he started making little plastic toys and suddenly the phenomena which was to be known as Lego was born. Legoland Billund opened in 1958, and is the original Legoland park located next door to Legoland HQ. There are 9 Lego themed lands, 40 rides and attractions and the world’s highest Miniland. 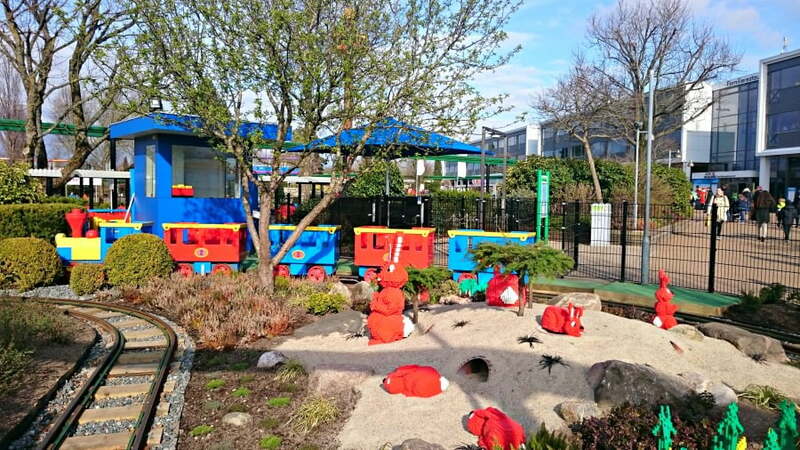 Legoland Denmark is one of the most magical days out for Lego fans of all ages. 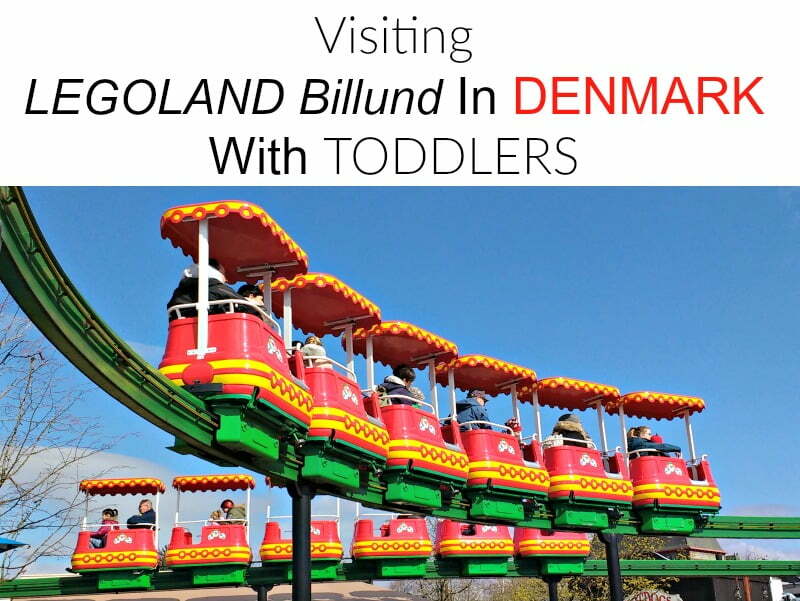 We visited Legoland Billund in April 2017, and in this article I’m going to tell you everything you need to know about visiting Legoland Billund in Denmark with toddlers. 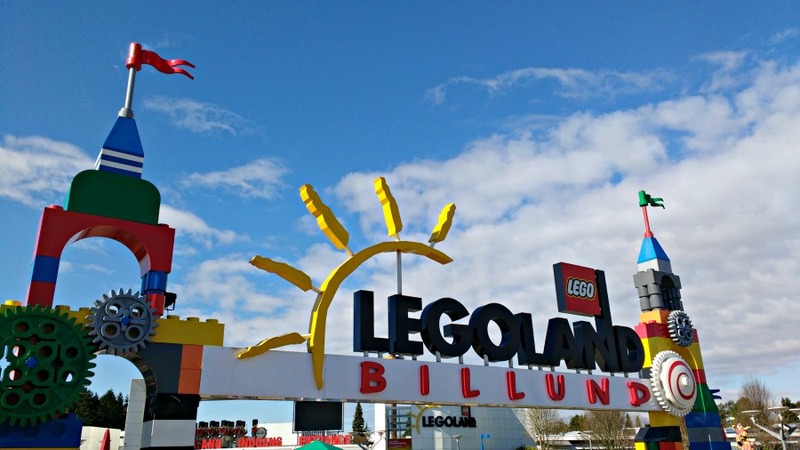 Legoland Billund is 2km (across the road) from Billund Airport, from where there are flights to Manchester, Heathrow and Stansted Airports from the UK. 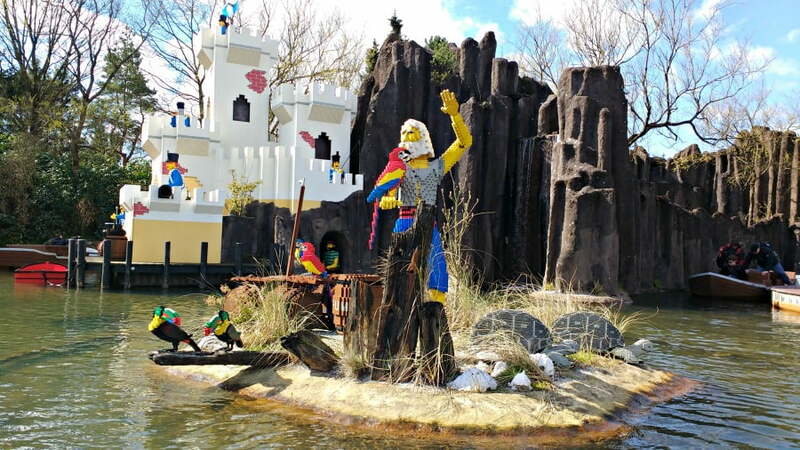 It takes approximately 3 hours to drive from Copenhagen to Legoland Billund. We drove over from Copenhagen, and found the drive to be quite easy with not a lot of traffic. There is a toll bridge which you need to cross and this costs 220 DKK (£25) each way for cars. There are hotels, cabins and even wilderness cabins on the Legoland park. There is also a Lalandia resort next door which is a bit like Center Parcs in the UK, with holiday homes situated round the main resort centre containing an Aquadome, soft play and Winter World with indoor ski slope and ice rink. How Big Is Legoland Billund? 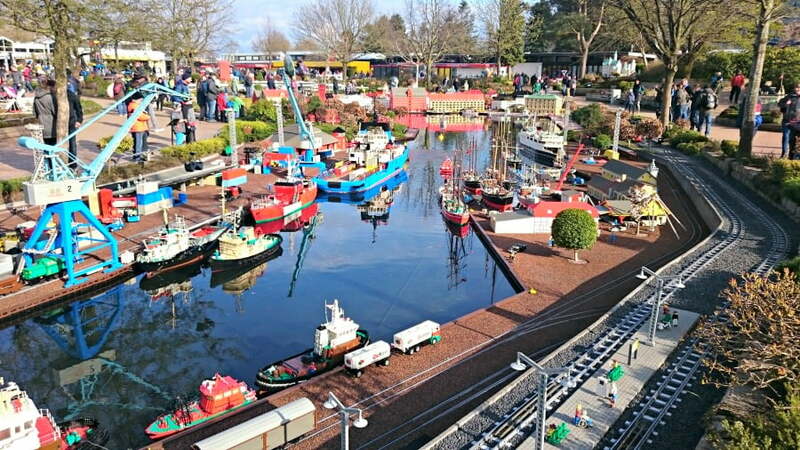 Legoland Billund is smaller than its big sister at Windsor – there isn’t a Duplo Splash Zone for example, but there are still 9 Lego themed lands and 40 attractions to keep you busy. There is a little road train which takes people around the park, which is useful for when little legs get tired at the end of the day. Another advantage of Legoland Billund being smaller than Windsor is that it is less crowded, less stressful and generally more laid back. 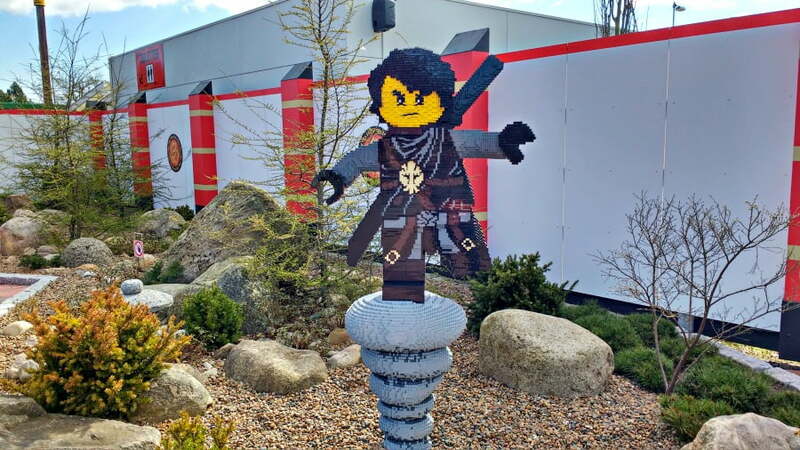 We visited Legoland Billund during the english Easter school holidays, and didn’t really have to queue for the rides. 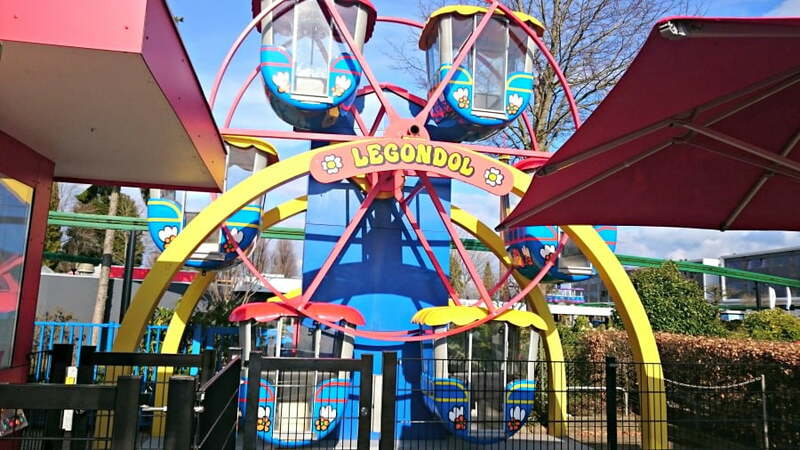 We found that if you get there at opening time, and headed straight over to the other side of the park you will be able to go on lots of rides before it gets busier later during the day. The park did get busier later on, but the most we had to queue was about 20 minutes. There are tables of lego in the queues for children to do some building whilst they wait. QBot tickets are available to buy on busier days, and these allow you to book a time for selected rides so you don’t actually have to wait in the queue. This might be worth considering if you are planning to visit at a busy time. 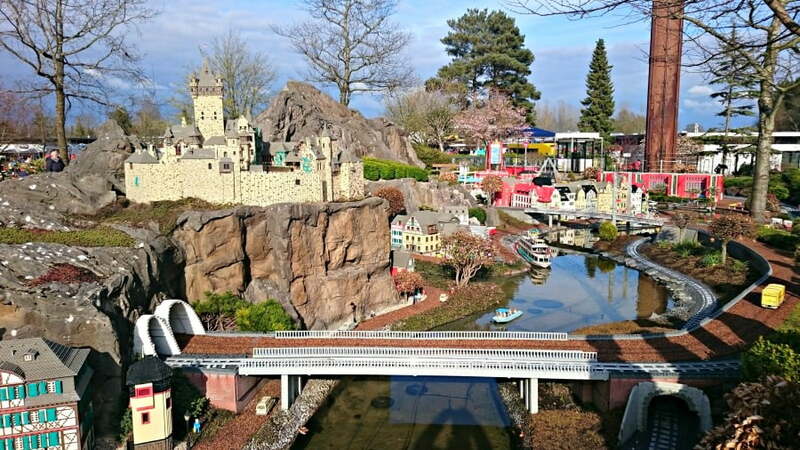 Another thing to remember is that the Legoland park remained open for an hour after the rides had shut, so we were able to spend this time wandering around Miniland – a good way to maximize the time you can spend on rides! 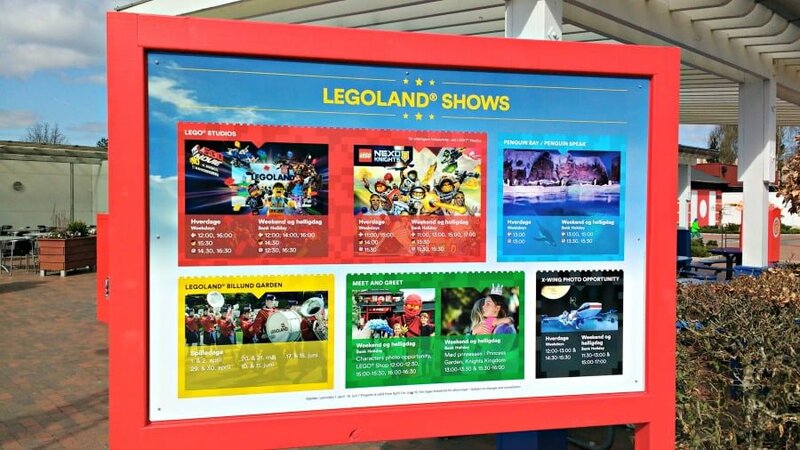 There are 9 lands at Legoland Billund. 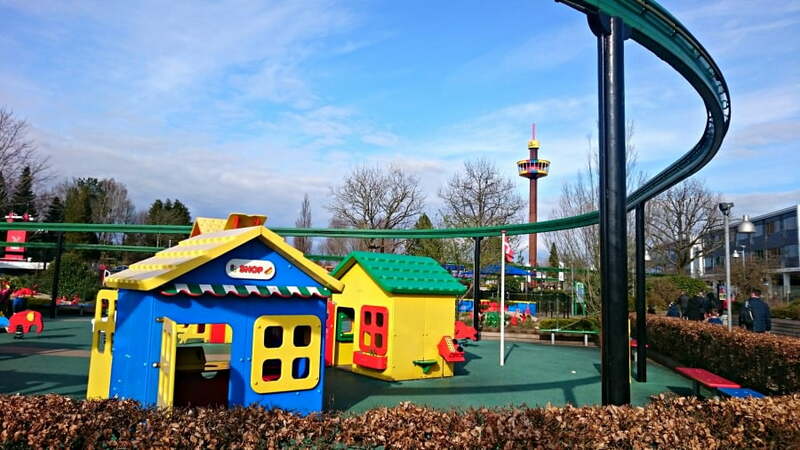 We found Duplo Land, the Imagination Zone and Pirate Land to be best for toddlers, but there are still rides in the other lands which younger children can enjoy. Adventure Land and Polar Land are probably better suited to older children. Toddlers will love the Atlantis attraction in the Imagination Zone where you can see lots of fish, shipwrecks and treasure. This is an attraction which you can walk through at your own pace too, so toddlers can take their time and stop if they see something which takes their fancy. 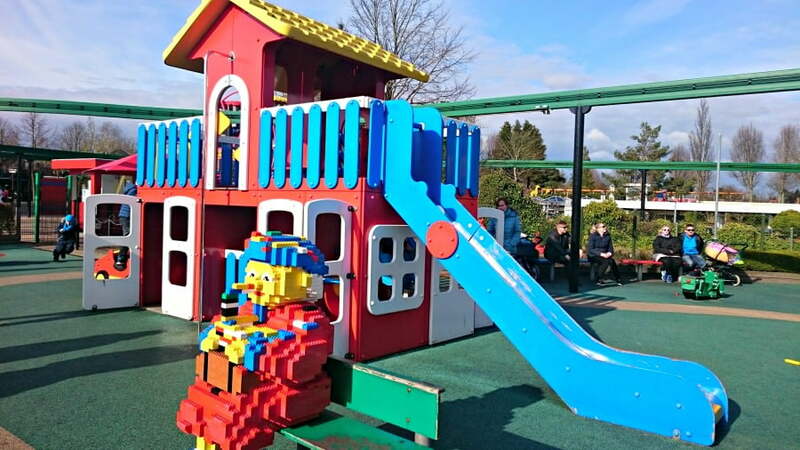 Duplo Land, with its brightly coloured rides and playgrounds, is made for toddlers. There are little plane rides, train rides, a mini ferris wheel and a fab playground. Legoredo Town is where you can enter the Wild West. 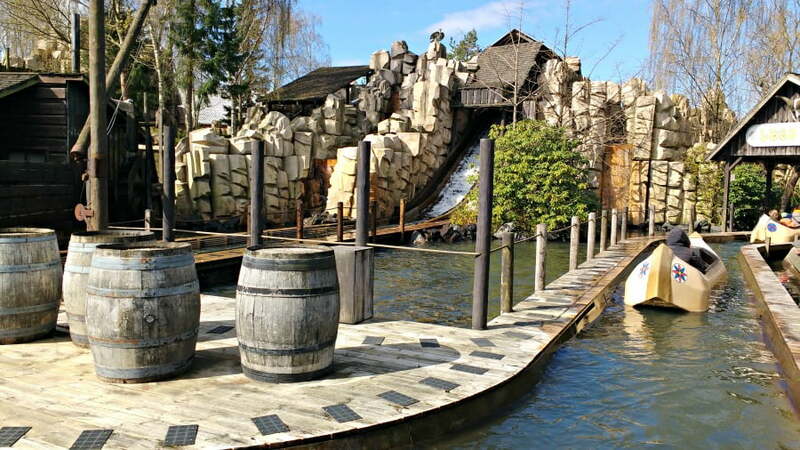 My youngest son’s favourite ride was the Canoe which is a log flume water ride which takes you on a ride around the Wild West before you go down a small drop into water at the bottom. 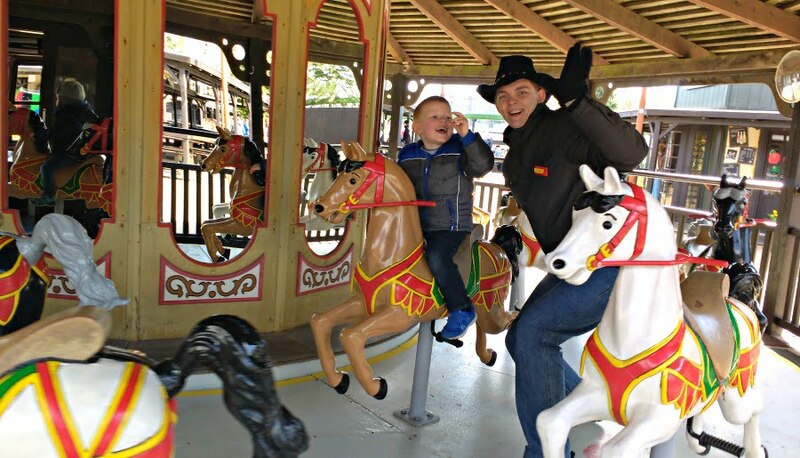 There is also a carousel which is suitable for toddlers too. The highlight of Adventure Land is the X-Treme racers ride which definitely isn’t suitable for toddlers. However, there is a Temple Ride which was a laser shooting ride which younger children are allowed on. Toddlers will also like the Fire Brigade ride where you race against fellow visitors to fill your fire engine with water, put out a fire and race back to the start – loads of fun! Polar Land has rides suitable for older children, but toddlers will love the Penguin Bay! Here you can peer through the glass, and watch a colony of penguins jumping into their swimming pool and swimming around. 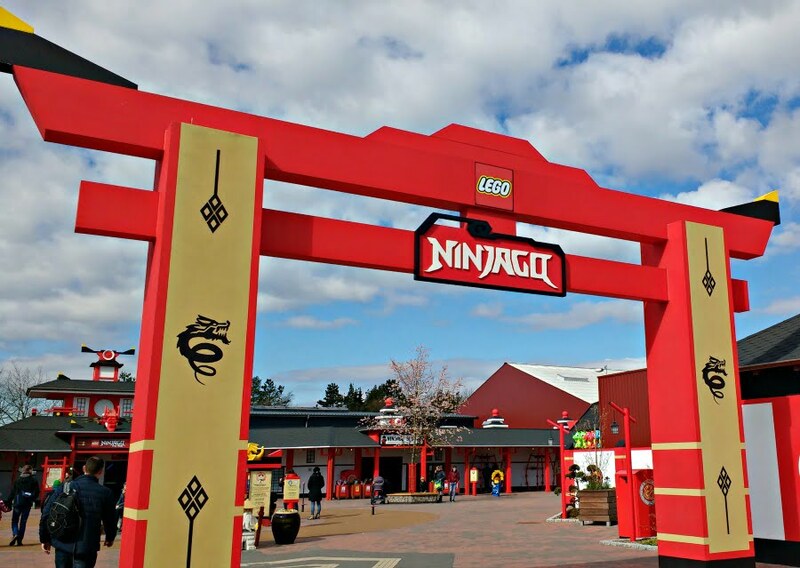 Ninjago Land is probably better aimed at children aged 4 plus, and has rides such as Ninjago – The Ride where you can help Cole, Kai, Nya and the rest of the gang defeat the Great Devourer. Another favourite was Lloyds Laser Labyrinth where you have to climb and duck over and under lasers to make it to the end in the fastest time. There are 3 various levels depending on how hard you want to make it! Legoland Billund boasts the world’s tallest Miniland with replicas of some of the world’s tallest towers built on a scale of 1:150 using 830 000 bricks. 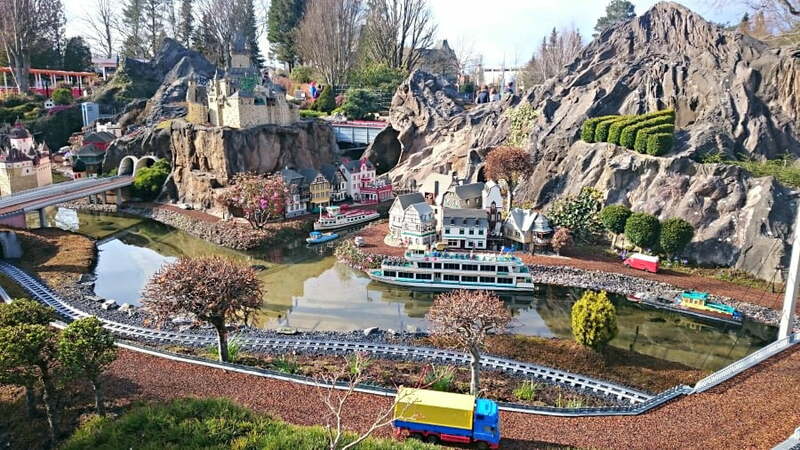 No matter which Legoland you visit, the highlight is always Miniland. 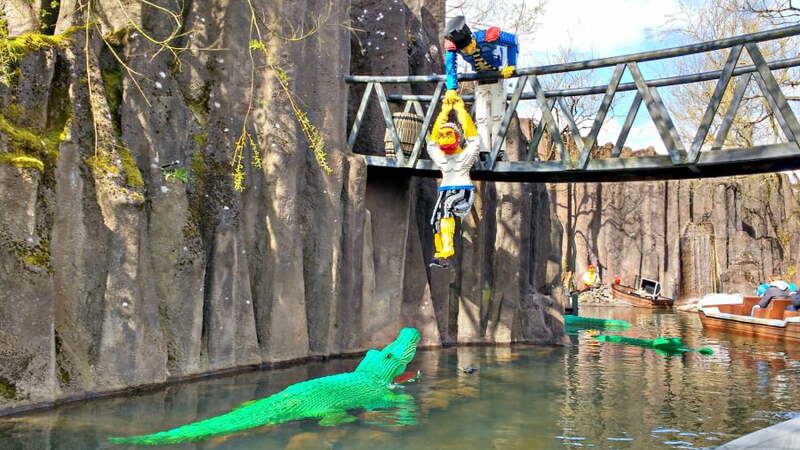 Legoland Billund is no different. 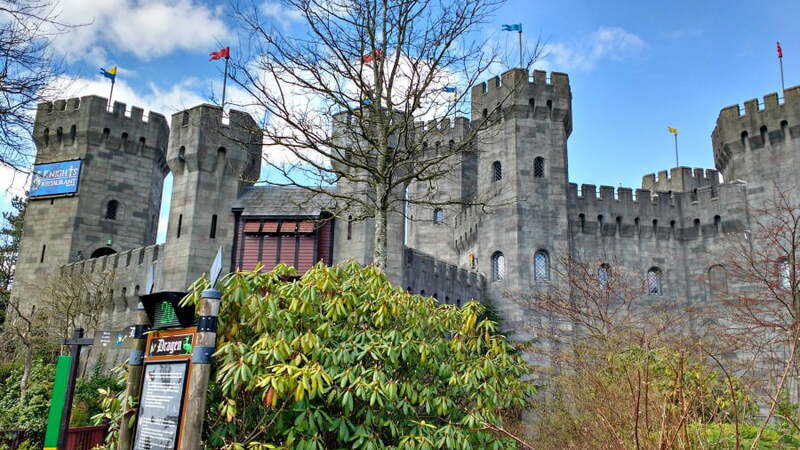 As well as the world’s tallest Miniland, there are some great rides for toddlers. 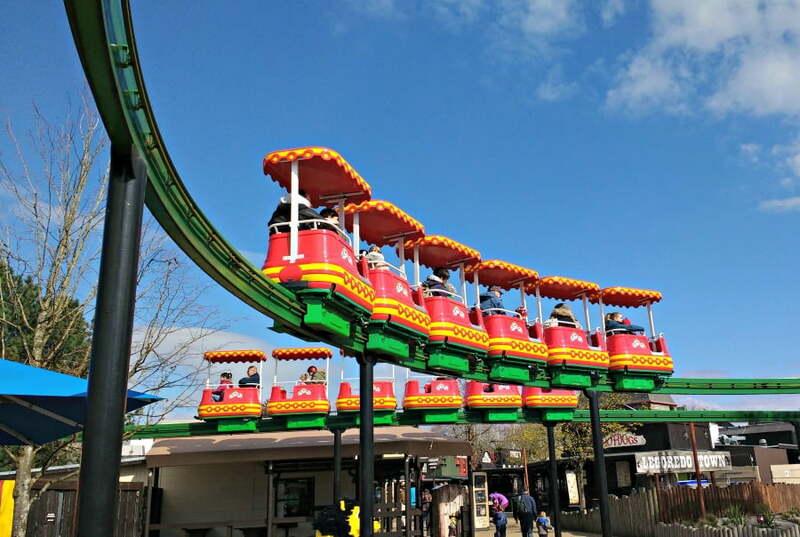 Highlights include the caterpillar (high speed merry go ride), Lego Safari (motor car ride round a safari), mini boats, and of course the Lego train and monorail. 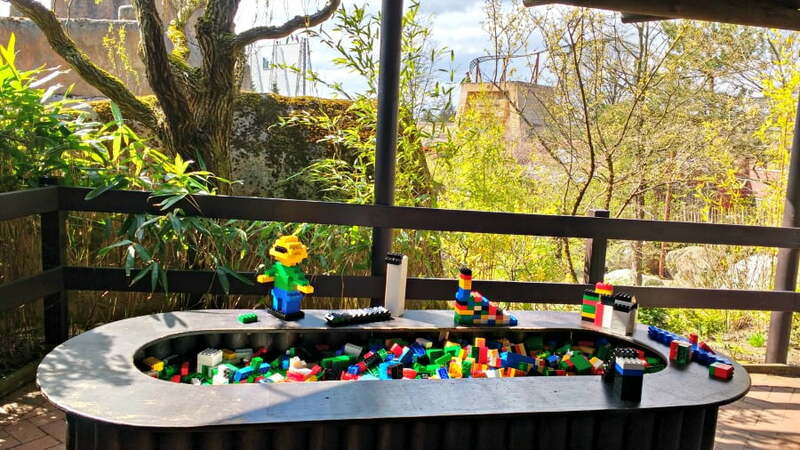 There are loads of places to eat and drink at Legoland Billund, and the emphasis is on healthy food too and not just fast food. 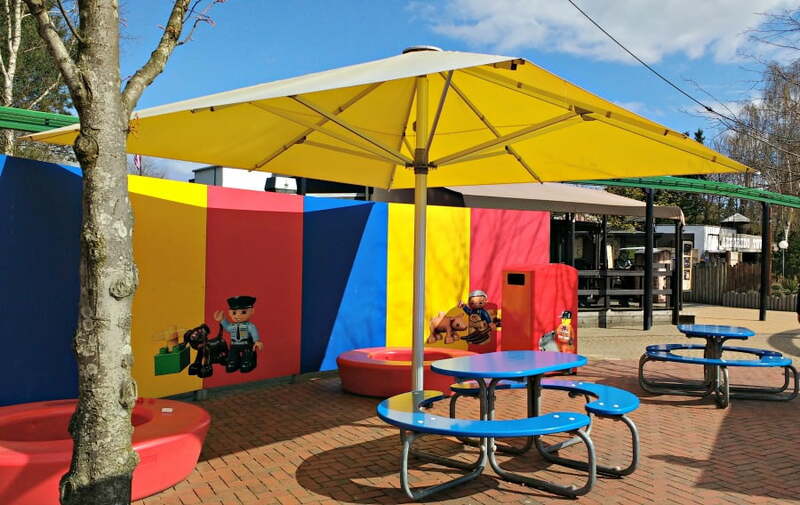 Another advantage of Legoland Billund compared to Windsor, is that there are loads of sheltered picnic areas so you can take your own food if you wanted to keep the costs down. We ate the Polar Pizza and Pasta which was an all you can eat pizza and pasta restaurant next to the Penguin Bay. This cost about £60 for a family of 4 and included all you can eat pizza, pasta, salad, drinks and ice cream. The food quality was very good, and the restaurant was right next to the penguin house so we could watch the penguins swimming around while we ate. Baby change is available in every toilet. There are loads of toilets, and they were all spotlessly clean. Free WIFI is available throughout the park. The park is pushchair friendly. Pushchairs are available to hire from the Service Centre. You can visit again within 6 days for 129 DKK (£15). Buy your ticket at the Information Centre on your way out. We spent a week in Denmark starting off with 3 days in Copenhagen visiting the Tivoli Gardens and going on a hop on hop off canal boat tour, before driving over to Jutland. In Jutland we spent 3 days at Lalandia (Denmark’s version of Center Parcs) before returning to Copenhagen to stay at the Clarion Hotel. Denmark can be quite expensive, so this article explains how to do Denmark on a budget. Sincere thanks to Legoland Billund in Denmark for providing tickets for our visit. Oh my goodness, so many of the kids at my library are OBSESSED with Ninjago, so that part of the park would be their idea of heaven!! Great! 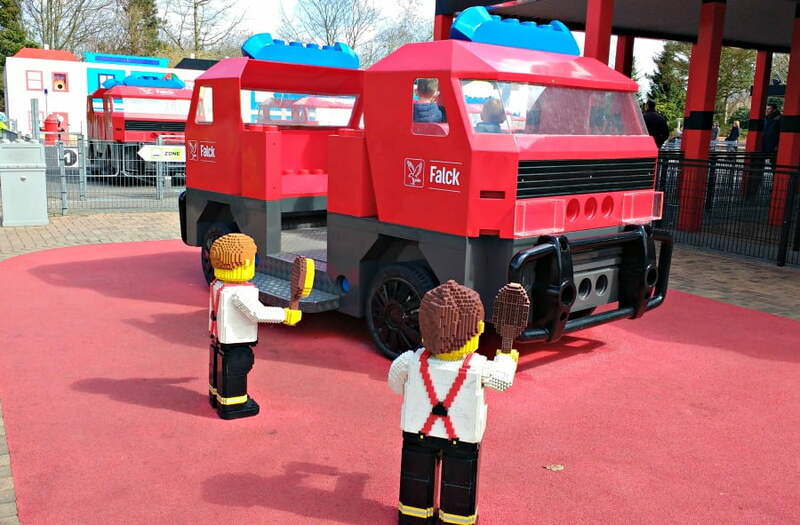 Legoland Billund is really a great fun place to have a trip! There are so many types of entertainment there to enjoy for the kids!